Last night I took my dad on his long-delayed birthday present trip to Treasure Island Casino outside of Hastings. My donation to the tribe this time was only about $30, which wasn’t bad for almost four hours of entertainment. They actually had one $3 blackjack table open (along with a number of $5 tables), but I chickened out after watching for about 20 minutes. Spent most of the night playing Jacks or Better video poker on a nickel machine. A quarter a hand is about all I’m willing to risk right now. Still looking for that second royal flush–my first and only one happened here about 15 years ago. It would be cool to win $200 on a quarter bet, but I think I need to study up on the strategy chart so I can last longer. My dad had a two-for-one coupon for the buffet, which was pretty good. In particular, I enjoyed the carved ham, hand-mashed potatoes and cheesecake for dessert. They had re-modeled the dining area since I was there last (along with several of the gambling areas), but it still lacks the flair of the larger Mystic Lake Casino in Prior Lake. Fun time, though. Last month, reporter Mitchell Landsberg of the Los Angeles Times wrote an in-depth story on the High School for Recording Arts Los Angeles. This week, the school paid to have it reprinted on their own site. The story is long, well-done and a great boost in recognition for the program. It was picked up by several other papers in the country, including the Chicago Tribune. Be sure to check out the multi-media Flash presentation too (which the paper would not license). This weekend is the 2008 edition of the Minnesota Golf Show at the Metrodome. I have mixed feelings about this show (after exhibiting in 1999) and usually go every other year. There is just something depressing about going to a golf show in the Metrodome in February. It also seems like there have been more and more non-golf exhibitors every year, which really takes the “golf” out of the show. Since this was my off year for attending, I took a look through the event website instead. No hidden star presenters on the clinic stage this year (like Wes Walz last year): Chris Foley, Greg Schulze, Dan Cole, Nick Pelle, Michael Turnbull, Jerramy Hainline and Jason Manke head up the presenter list. The other interesting thing I noticed was the launch of a new Minnesota golf print magazine: Tee Times Minnesota Golf & Living. With print advertising and newspapers in the dumps, I was very surprised to see someone try something like this now. After looking at their website and the first print edition, I don’t think Minnesota Golfer has to worry much about losing advertisers. Then again, it’s always nice to see more coverage of Minnesota golf. The Minnesota Golf Show wraps up tomorrow at 4pm. Returned Thursday afternoon from another week in not-so-sunny SoCal. At HSRA Los Angeles, I found the new Cisco VoIP equipment in the server rack (above), along with their new phone headsets (which turned out to be way different from the ones on 24). Sun Country helped me transport a new video editing workstation with two 23-inch Cinema Display flat panel monitors 1,528 miles without damaging or losing anything. Hurray! Still need to troubleshoot some issues with ARD clients dropping from the admin computer lists and some other miscellaneous issues, but overall, it was a productive trip. The studio director and I didn’t get out to the beach all week, as it was too cloudy, cold and rainy every morning. We did walk to the top of the hill on the last night, as I wanted to see how big the waves get when the wind blows off the ocean (not very). As for food, this trip was all about saving money. Aside from the trip to Canter’s Deli I wrote about earlier, I ate lunch at In-N-Out and El Pollo Loco (and skipped lunch the other day). The other two dinners were both in Redondo Beach: Hennessey’s one night and Gina Lee’s Bistro the other. Everything during the week was decent–not bad, but not spectacular either. Next work trip will probably be an overnight to Seattle to visit my servers at Digital Forest. President’s Day weekend was a wild one in the Kingsbury household. Birthday activities for kid one included dinner Saturday at Lucky’s in Mendota (her past birthday favorite Don Pablo’s mysteriously shut down), roller skating at Skateville on Sunday afternoon and tickets to the Wild-Nashville game Sunday night (birthday pictures are up in the private album). Sunday was not kind to me, as I nearly lost all functioning of my right wrist in a rather embarrassing sequence of events. First, I played several hours of Guitar Hero III (a new birthday present), which made the wrist a little sore. Then I decided to try roller skating again after a thirty year lapse. Two bad falls and the wrist was really hurting. Finally, the Wild made their game way too exciting, causing much clapping with the sore hands. By the end of the night, I couldn’t even unzip my jacket when we got home. Some ice and Advil helped me recover enough to catch a 7am flight to LAX today. 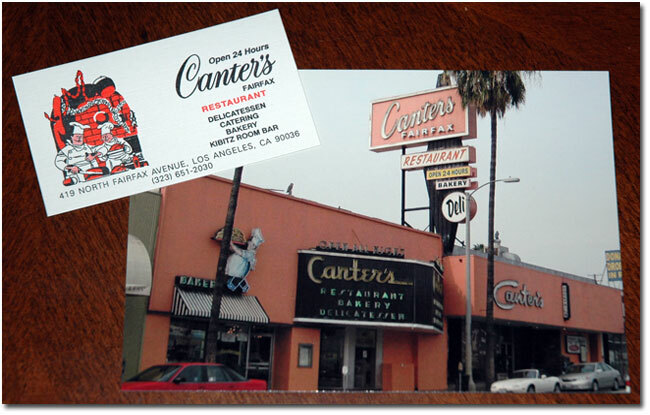 Lugged a bunch of video gear to the school and drove to Hollywood for a late lunch at Canter’s Deli on Fairfax. We drove by Pinks first, but there must have been at least 100 people in line. A nice drive down Sunset to the 405 completed the day. The Kings are on the local FSN channel tonight versus Phoenix, but I’m almost out of gas and the wrist could use some rest. Got two of my favorites from my wife for Valentine’s Day 2008: Daim candy from Sweden (via IKEA) and a gift certificate for a round of golf at Willingers in Northfield. Awesome–can’t wait for the snow to melt. Sixty days? My brother has me inspired. He earned a Goofy medal last month by running the Walt Disney World half marathon and full marathon on back-to-back days. Me? I have been on and off the treadmill since the start of the year (mostly off) and nothing longer than 5K. Today I decided I needed to buy some new shoes, commit to a few races this year and get back on the treadmill. I’ve run in Nike shoes all my life and the red pair in the picture above are my all-time favorites. Light as air, they feel like I’m not even wearing shoes. But alas, they are starting to wear out and now have a few small tears. I stopped at the Running Room on Grand Avenue today and asked to try on the three lightest pairs they had from any manufacturer. The Mizuno Wave Rider 10s pictured on the left were the new winner. James Lee Curtis, 63, Grand Marais, was convicted Oct. 26 of attempted murder with intent (not premeditated), and sentenced Jan. 15 to 153 months in the state prison at St. Cloud (minus 290 days credit for time served), and ordered to pay a $50 fine plus $87 in court costs and fees. Colleen and I went to see Warm Beer Cold Women at the Guthrie’s Dowling Theater this weekend. The theater was set up the exact reverse way from when we saw Phil Callen in Pen this fall, which threw me off at first. I’ve liked Tom Waits for a long time, but realized I’m not much of a Waits expert. This show had lots of songs I’d never heard before, but we still had a good time. Katy Hays was our favorite performer, but Dennis Curley had his moments and Robert Berdahl (who also wrote, directed and produced) did an admirable job with his torn Achilles and crutches. The musicians were very strong and we really liked Dan Chouinard on keyboards and Mark Stillman on accordion (his entrance at the beginning of Rain Dogs was a highlight of the evening). Complete list of songs from the program after the jump. Several of our favorite local pros (and regular Tapemark players) made the cut at the recent TaylorMade-adidas Golf PGA Winter Championships, held January 28-31, 2008, at the PGA Golf Club in Port St. Lucie, Florida. Jeff Sorenson of Columbia Learning Center came in third overall, while Don Berry and Adam Guili of Edinburgh USA both finished in the money. Mark Brown of Oyster Bay, NY, won the $5,000 first prize with a 66-68-68-70-272 total. When I first heard of Twitter, I thought it was stupid. But here I am today testing out how we might use it at HSRA for online collaboration (staff and students). Via Alex King’s Twitter Tools WordPress plug-in, my three latest tweets appear in the sidebar, and every post on 7 Minute Miles should be added to Twitter.